I occasionally accept review copies at my own discretion. When this kind of review is published, it’s fully disclosed that I’ve been offered a free copy to review. If you want me to review your book please contact me. I do not accept any kind of payment to review a book. I’ll review the books that are of interest to me, depending on my own availability. I only reply to the offers that interest me, so if you haven’t received a reply to your inquiry please assume I won’t be able to review your book. If you’re interested in being featured for an author interview or write a guest post, please mention so in the same email, so even if I’m unable to review your book at that moment in time, there’s a possibility I could feature you. Please note I only accept exclusive material – not published elsewhere. I am unable to guarantee a timeframe to review your book, even if accepted. I accept eBooks (mobi format, for Kindle) and print copies (shipped to Portugal). I highly respect authors and their work: your ARCs are safe with me, they’ll never be shared. I read a little bit of everything but my preferences are: Speculative fiction, YA, Women’s fiction, Contemporary fiction, Thriller & Mystery, Non-fiction (business, design or psychology). I can never guarantee a positive review and I won’t accept any kind of monetary compensation to write something I don’t feel. My readers trust me to be honest, I write from a personal point of view and I will publish negative reviews if I dislike a book. I’m never unnecessarily rude since I respect the author’s work and I don’t intend to hurt any feelings however we all have different tastes and you need to be prepared for negative feedback. Please do not submit your book to review if you aren’t prepared for the possibility of a negative review. I recommend you to browse through my reviews if you want to see my reviewing style. 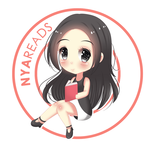 My reviews can also be published on GoodReads, Amazon and shared via email or any of my social media channels.